I am frequently asked how to help children who are shy by nature. Many parents feel they have to defend their child’s hesitation to speak up, or worry their child might miss opportunities, or not lead as full a life as a result of their social anxiety. The truth is children have different temperaments. Some are less outgoing than others and that’s just fine. The good news is we can teach ALL kids how to feel more comfortable when meeting new people and feel at ease in social settings. Don’t “label” your child as shy or let others label her. 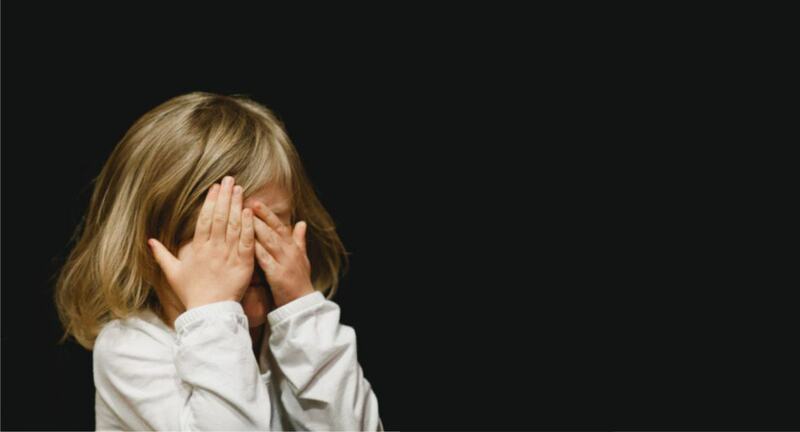 When we label children as “shy”, they are more likely to “assume” that label and act “shy.” When Mrs. Jones asks your child a direct question and she hesitates to answer, don’t say, “She’s just shy.” And don’t let Mrs. Jones label her by saying “Are you shy today, dear?” When others try to label your child, simply say…”No, she’s not shy; just not terribly talkative today.” Even better, role play with your child appropriate responses she can offer to these kinds of questions. This is a good way to give your child a little buffer of time to warm up and connect with a couple people and his or her surroundings before others arrive. Role play with your child how to politely talk to people by looking into their eyes. Practice focusing on the color of the person’s eyes, as this makes your child appear more interested and confident. Practice using a “big” voice when you meet someone new and extending a hand for the other person to shake. Practice the words to use when meeting new friends such as, “Hi, I’m Emily – what’s your name?” Some children don’t feel comfortable in new situations or with meeting new people, but role playing these social skills can increase their confidence, even for very young children. When the child refuses to answer, don’t coax or answer for her. Simply wait in silence to give her a chance to think of her answer. Giving her an opportunity to struggle just a bit reinforces you have faith that she will speak up and it will give her practice responding. The more opportunities she has to speak for herself, the easier it will be for her in the future. Being slow to warm up to others is just one aspect of who he is. Remember to encourage all the other character traits that make him the amazing person he is: kind, helpful, resourceful, thoughtful, etc. 7. Use Family Meetings as an opportunity to get outside the comfort zone. In Session 6 of the Positive Parenting Solutions course, parents learn the power of Family Meetings in fostering important life skills. Children as young as four can take the role of “Meeting Leader” which offers practice speaking up and taking a leadership role in a safe, comfortable situation. We all want what’s best for our children. When we recognize their growth opportunities and work with them to learn new skills and feel more confident – amazing things can happen. You are your child’s best teacher and advocate – he/she is lucky to have you! From the toddler years to the teens, we’re here to help you through it all. The next time you feel overwhelmed or unsure of how to handle a parenting issue, dive into the training modules and find your solution. If you’re a Gold member, head over to our private Facebook page and ask away – the sense of community and support from around the world is incredible. Together, we can do anything! Not yet a member of Positive Parenting Solutions? Click here to see how we can transform your family.